BROWNSBURG, Ind. 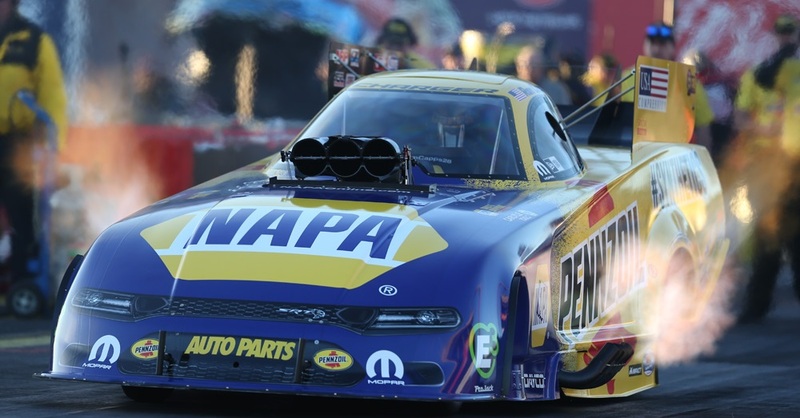 (July 19, 2016) – Ron Capps’ Western Swing started about two weeks early to begin the most special part of his NHRA Mello Yello Drag Racing Series regular season. The native of San Luis Obispo on the Central Coast of California left his home near San Diego early last week with his wife, Shelley, and their son Caden, 15, for vacation time with family and friends. “The bummer was that Taylor is taking classes this summer at college back home and couldn’t drive up with us,” Capps said of his daughter. After a brief respite of camping, he’ll fly to Denver this week for the 37th annual Mopar Mile-High Nationals at Bandimere Speedway near Denver before flying back to rejoin his family and then drive the motorhome north for the following week’s race at his home track of Sonoma Raceway near San Francisco. After the second stop on the annual three-week NHRA Western Swing, he’ll return his family to Carlsbad, Calif., then fly to Seattle for the 16th race in the 24-race season. This stretch is when he charges his internal NAPA batteries. 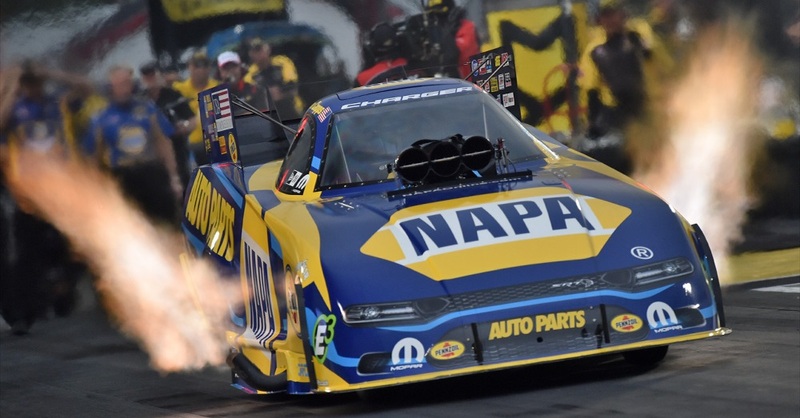 “This is the time of year I always circle on my calendar,” said Capps, who has won a series best four NHRA titles and career-best four No. 1 qualifying positions this year to build a 126-point lead in the Mello Yello standings. It’s a good time to get rejuvenated because of the demanding conditions teams face, especially in Bandimere’s oxygen-choking, mile-high altitude. “It’s the one race where you have extreme conditions with the altitude, and it can be hot,” he said of the race where he won in 2009 and was runner-up twice (1998, 2007). “We’ve lost some close races there, but I always feel we have a shot when (Rahn) Tobler is the crew chief. I’m excited to get up there and see how quick a Funny Car can go. 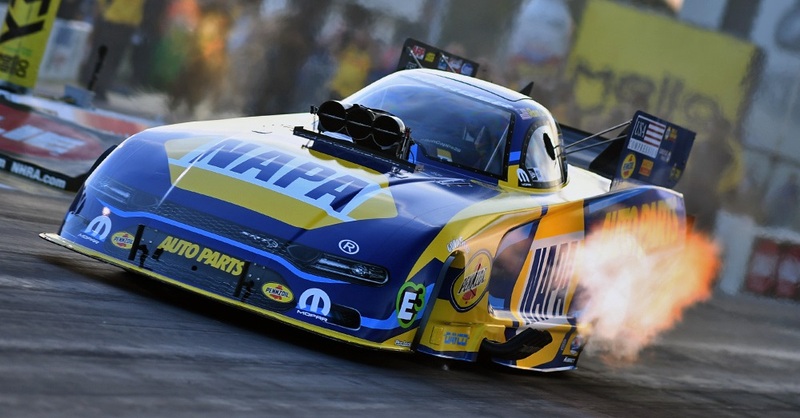 Track elapsed time records have been reset at 12 of 13 tracks this year including three times by Capps and the NAPA AUTO PARTS Dodge Charger R/T. “Every driver will tell you they want to sweep the Western Swing once in their career,” he said, adding only seven drivers have accomplished that, including once in Funny Car when John Force did it in 1994. 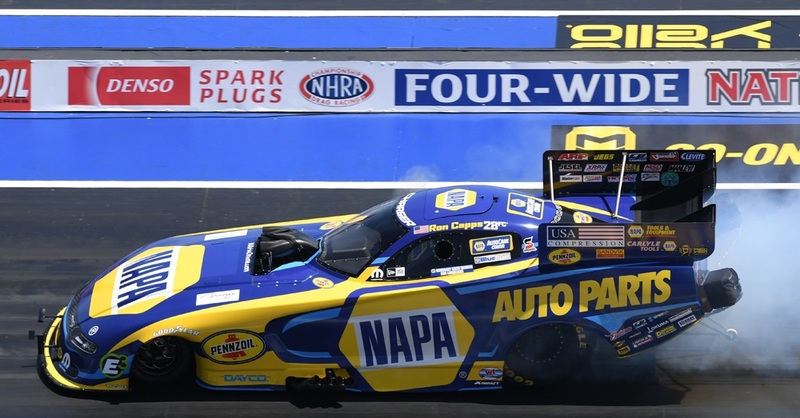 “The conditions are so diverse on the Swing: high altitude and hot in Denver, sea level at Sonoma and then up to Seattle with all those trees that produce so much oxygen,” said Capps, who has won 601 times in championship eliminations and is 11th on the all-time nitro wins list with 49. 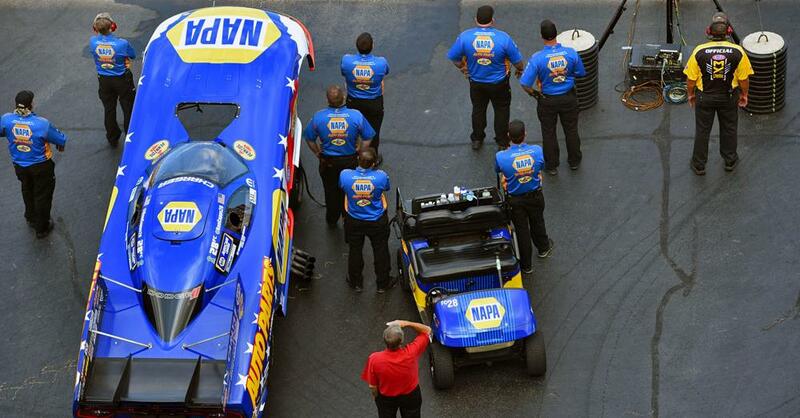 Capps, Tobler with assistant Eric Lane and the NAPA team nearly swept this year’s four-race Eastern Swing in June when they won three of the four Wally trophies.